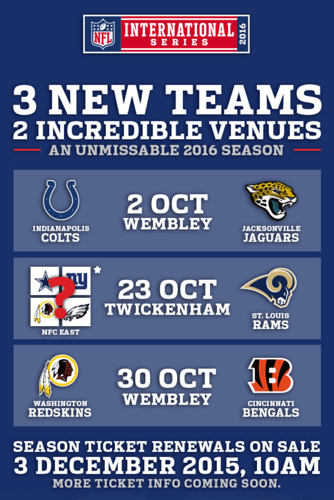 Next years games have been confirmed - not exactly the rumoured ones (there were hints of Packers vs Jags as well as Texans vs Jags, with 4 games in total. 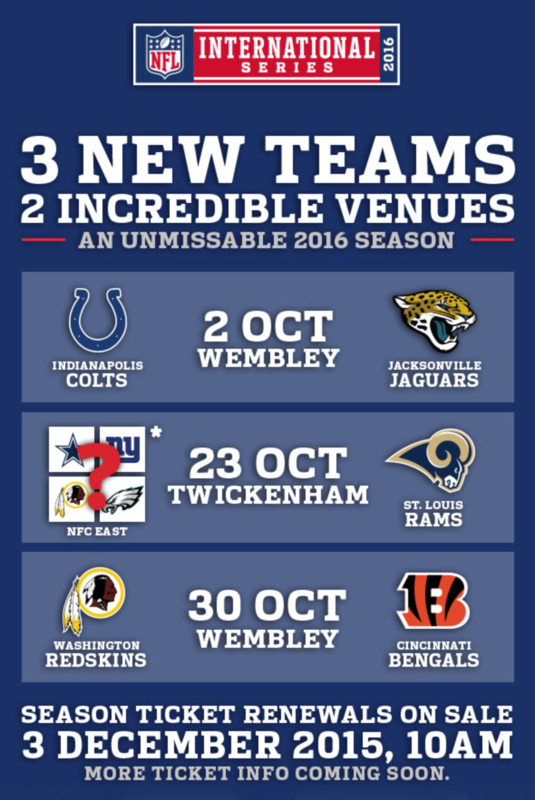 Instead we’ll see the Colts, Redskins, Rams, Bengals, Jags, and one other NFC East team. Getting to and from the ground is a pain. I don’t think I have ever had a good journey to and from Twickenham on a game day. I guess the teams will also line up on the same side unless they do some jiggery-pokery with the field. Agreed on the getting to and from Twickenham part it is a nightmare at times.